INDUSTRY.co.id - Director of Vegetables and Medicinal Plants, Directorate General of Horticulture, Ministry of Agriculture (Kementan), Prihasto, Setyarto said in the midst of the commitment to realize clean governance, in the era of Agriculture Minister Andi Amran Sulaiman's leadership is not ceasing to clean from corruption. Clean-up is not only for the internal employees Kementan, but also for the parties related to agriculture. "Yes brush out indiscriminately for all parties who play in the agricultural sector," he said in Jakarta, Thursday (31/52018). Some efforts have been made Kementan in order to realize the clean apparatus that is socialization anti-corruption prevention and fostering of control until firm action for internal employees Kementan. This is a form of the Mental Reform of the apparatus in the agricultural sector in accordance with the direction of Mr. President as the Supreme Commander in this Republic. "Since the beginning of office in October 2014, Minister of Agriculture, Amran directly invited BPKP, AGO, Police to guard the program. Next puts the Task Force KPK based in Kementan, "said Prihasto. Reward and punishment applied to the apparatus from the highest structural officer Echelon 1 to the staff level. The entire program is measured and the performance of its officers is closely monitored daily. "The apparatus is routinely evaluated for those who excel promoted and vice versa for the wrong yes dilibas thoroughly,” he said. Prihasto further mentioned that 1,295 officials have been transferred and demoted. Even many officials are immediately fired for violating the law. Amran then took KPPU to clean the cartel and together with the Chief of Police formed Food Satgas to eradicate the food mafia. Similarly, Amran since early 2015 with TNI AD to build upstream infrastructure, facilitate the distribution of production facilities and agricultural products. Until now, Amran has commanded in capturing more than 40 cases of fake fertilizer. Cartel meat, chicken, corn and other processed by KPPU. Catch the case of illegal onions, fake cooking oil, and others. "Already more than 300 cases of food mafia processed Food Task Force, including Amran with police chief raided PT rice case. MOM is super awesome, "he said. On various occasions Amran has always said that all procurement projects must be transparent, there should be no collusion, including those related to import licensing. Amran asks his ranks to reject forms of gratuity while on duty, to be professional, of integrity. This is in accordance with the order of Mr. President RI. If there is an outside party forcing bribes and gratuities to the apparatus, Amran requested that it be reported to the KPK and law enforcement, the following submitted evidence. "This proves it has been more than 3.5 years in office, Amran has brushed abis and no kidding for corruptors. There is no forgiveness for law offenders in Indonesia, "explained Prihasto. From this achievement, said Prihasto, then naturally Kementan rewarded award from the KPK in December 2017 as the Ministry with the Best Gratification Control System. From the first one of those closely watched by Amran was the licensing service. The process of recommendation of import of strategic commodities, especially garlic where there is government policy related to mandatory planting and must produce 5 percent by import business actors. "The smell of garlic imported garlic has been sniffed by Amran. There are efforts of some parties to give some money to the field staff, in order to avoid this planting obligation, " said Prihasto. "The existence of gratuities, bribes and so on leads to the justification of the perpetrators to raise the price of imported commodities which will ultimately burden the public due to high prices, harm the state and harming the peasants," he said. 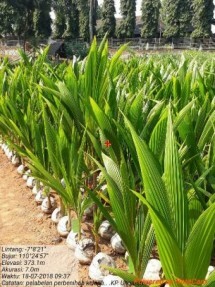 Prihasto revealed according to the direction of the President of Indonesia, Amran intensively protect and empower farmers. Assistance of seeds, fertilizers, machine tools, irrigation, insurance and others are channeled to unbroken farmers intact. So Amran is dubbed the closest to the farmers. Almost every time visit into the house of a farmhouse. In the case of a clean sweep, he added, all officers at the Directorate General of Horticulture have been reformed mentally. Two legal cases for the years 2013-2014 for its officers have been and are being legal process. "Now the authorities must be trustworthy. The proof is under the command of Director General of Horticulture, Dr Suwandi has been cleanly cleaned, one of the directors I have submitted proof of bribery and gratification to KPK and explain in detail the practice of hot money from garlic importers. We uphold the mental reform for the apparatus, "he said. 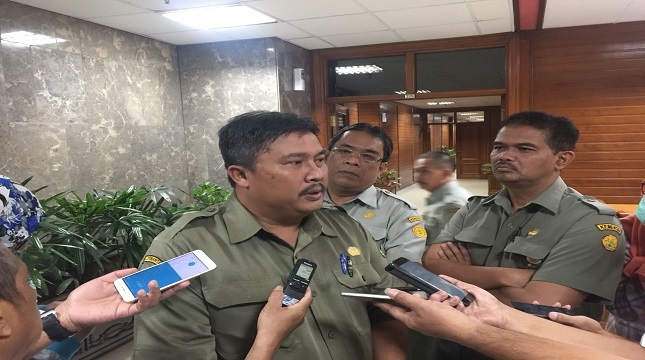 "This gratuity report to be the entrance of law enforcement officers KPK, Police and AGO to be able to immediately drag the actors garbled imported garlic actor," he concluded.